One of today's top offer is :Get Up To 50% Off Sale Items. Enjoy the up-to-date Lego free shipping code and deals for instant discounts when you shop at shop.lego.com. Grab your opportunity to save with each Lego promo code or coupon. 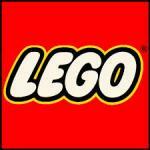 You can get great 50% Off savings by using our 17 Lego promotions.